With Chinese New Year and Valentine’s Day are only a few days apart this year, the joy of CNY festive and gathering with love ones are yet to be continued, but rekindle romance with your sweetheart on 14th February shouldn’t be forgotten too. Mark your calendar and spend the fifth day of Chinese New Year with your most special lady at Terazza Brasserie, Grand Dorsett for a romantic candle light dinner. 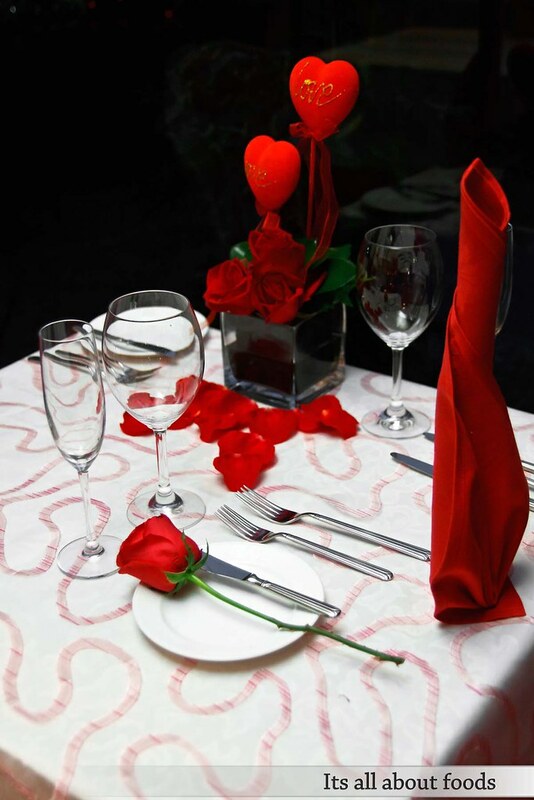 Priced at RM260++ for a couple,a selection of intimate dishes inclusive 2 glasses of sparkling wine/juice and a stalk of rose will be presented to surprise your loves one. 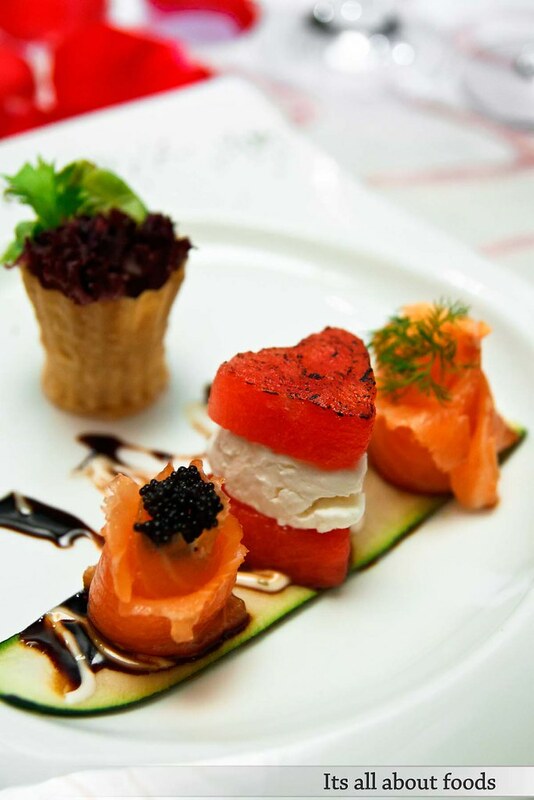 Start the meal with smoke salmon rose served with honey mustard dressing, and love shaped Feta cheese sandwiched with grilled watermelon in balsamic glazed. A little sweet, a little sour, this appetizer reminds us the good olden days when our relationship was first started. Continue with roasted tomato soup added with a touch of basil oil, thick, creamy, soury and tummy warming, symbolizing the care and love from the other half that warms up the heart. 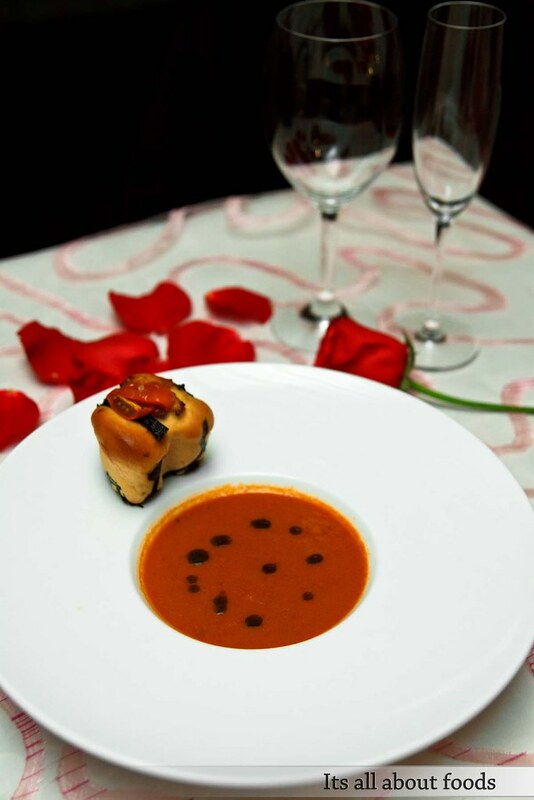 The soup comes with love shaped herbs bread rolls, fresh, fragrance and fluffy soft. 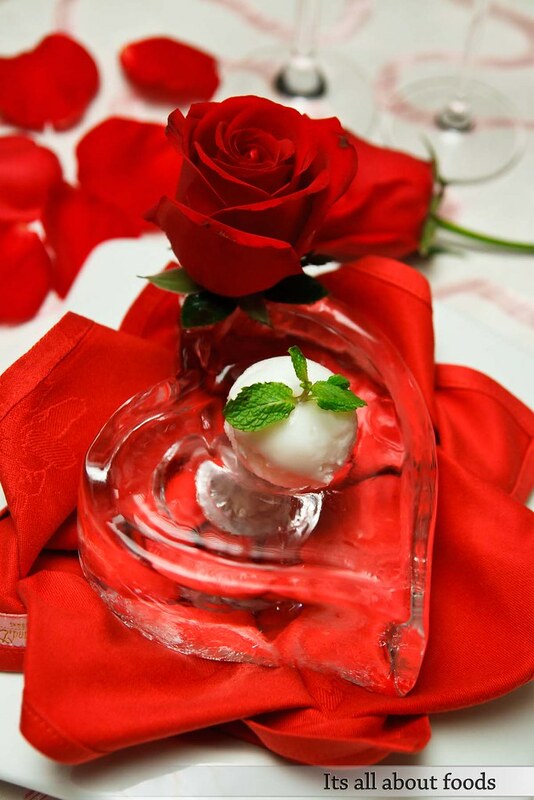 After the entrees, clean your palate with orange sorbet on love shape ice carving before the mains. Chilling, tangy and refreshing. 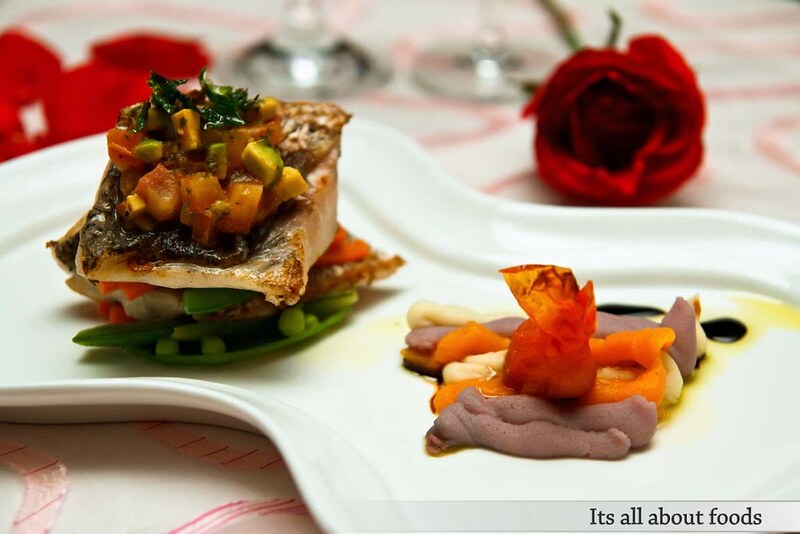 For main course, diners can choose to have grilled lamb or pan fried sea bass. Rich in flavour and meant to be savoured slowly, to us the mains resemble the thick and thin every couple has walked through. 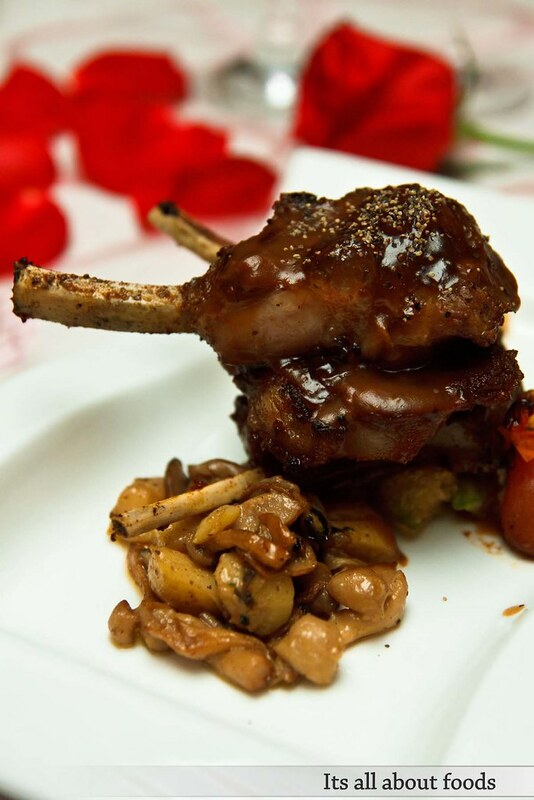 The oven baked lamb rack is beatifully done, smoky with good bites and flavor enhanced with apricot and fig confit. Served alongside with wild mushroom, potato ragout and sage with asparagus fitters which are also decent in taste. Pan fried sea bass fillet with balsamic drizzle is not bad too, rather pale in taste but will be great for those who prefer light flavour. 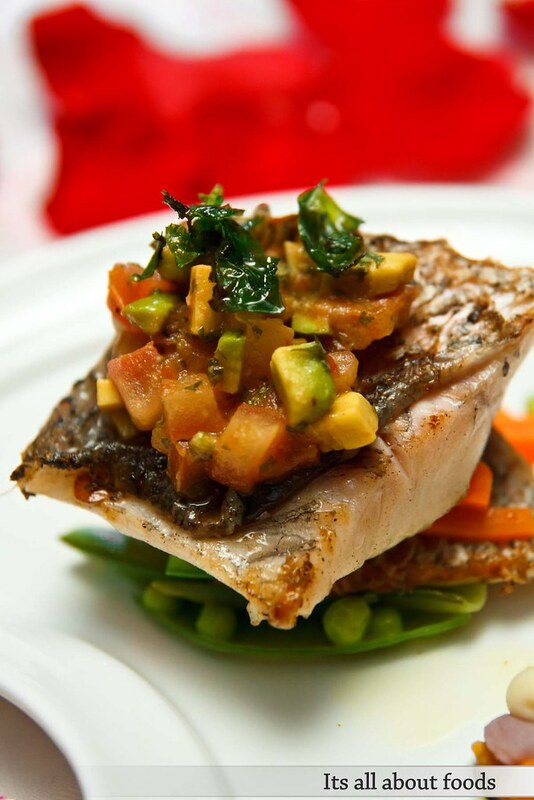 Thanks to the avocado tomato salsa and reen pepper corn foam toppings that add a twist of complex tanginess. The tri colour mash served aside are creatively done mashed sweet potato, mashed potato and mashed tapioca. 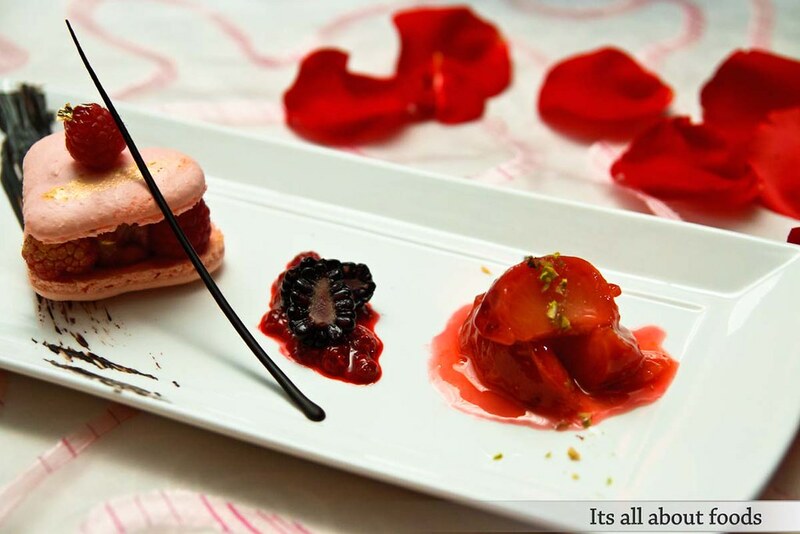 End the romantic dinner with heart shaped pinkish macaron sandwiching wih juicy fresh berries, lacing with more berries aside. May be too sour for some, but great for complementing the sweetness of macarons. After the meal, lets the love continues in air with your sweetheart by ordering a cuppa of Coffee or tea, and you can ask for strawberry chocolate and chocolate praline. Jalan SS12/1, 47600 Subang Jaya, Selangor. For reservations, kindly contact: +603 5031 6060, ext: 1912.